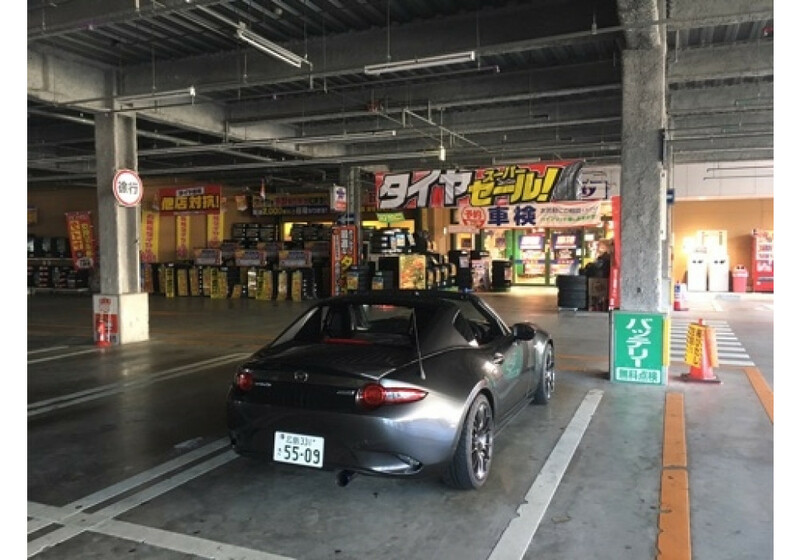 Ducktail spoiler made by Leg Sport for the ND RF MX-5 Miata (2016+) that has slightly different shape than their Soft Top version. 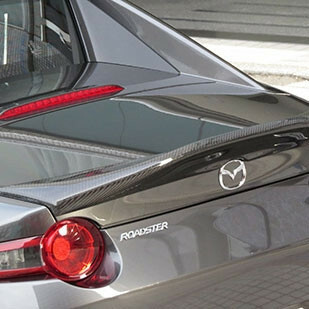 It installs using 3M double-sided tape and fit perfectly to the trunk lid. 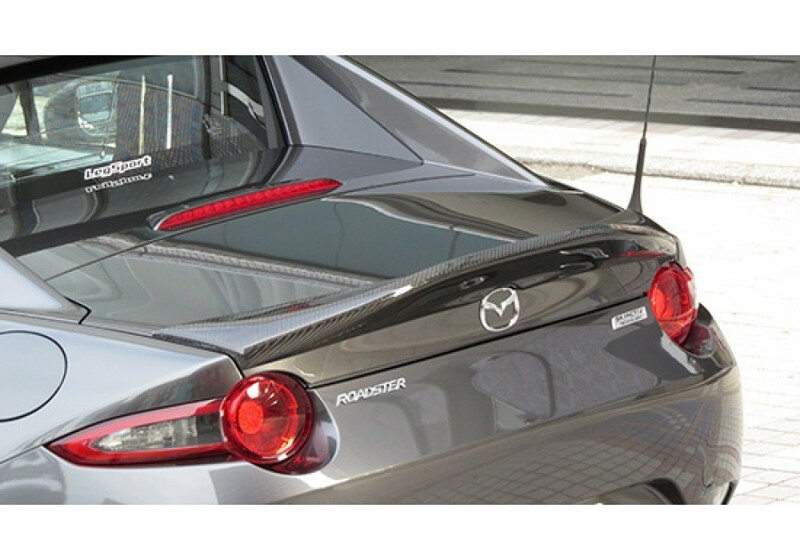 LegSport RF Duckbill Rear Spoiler should be ordered at REV9 Autosport https://rev9autosport.com/legsport-rf-duckbill-rear-spoiler.html as they provide the best service and speed we've seen so far! 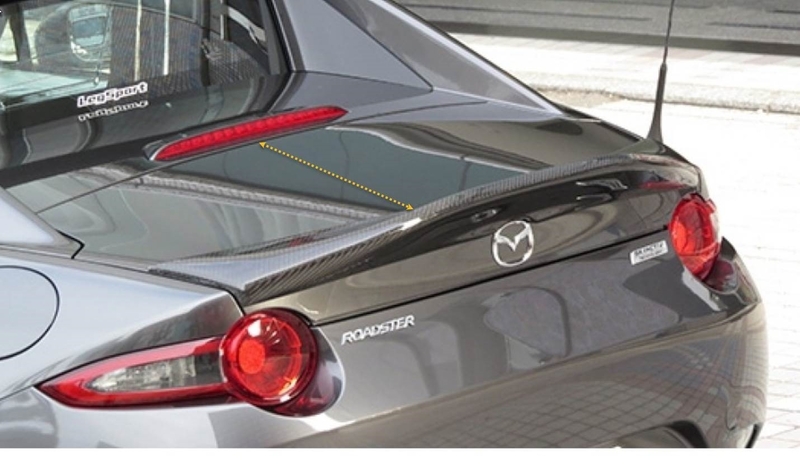 Please check the photo we added (scroll down) and check measurements with your shark fin. We cannot check since we don't own the car with shark fin.